Granted, it doesn't look like that vent cover was attached all that securely to begin with. It looks like it was just stuffed in the hole. But the raccoon had both the brains and the strength to pull it out in order to get into the crawl space. So I guess the raccoon deserves more credit than the person who installed the vent cover. 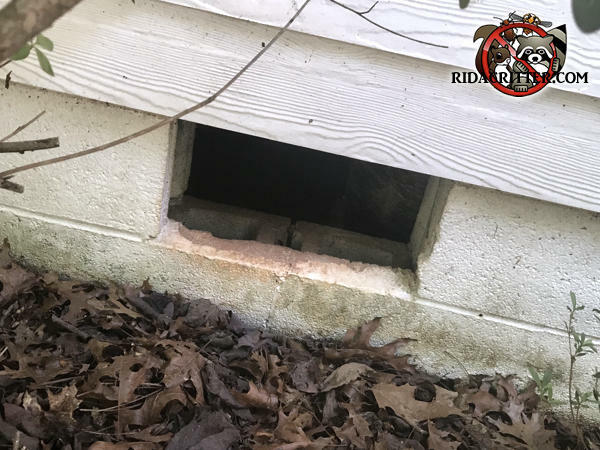 To learn more about raccoon removal in the Athens area, please click here.